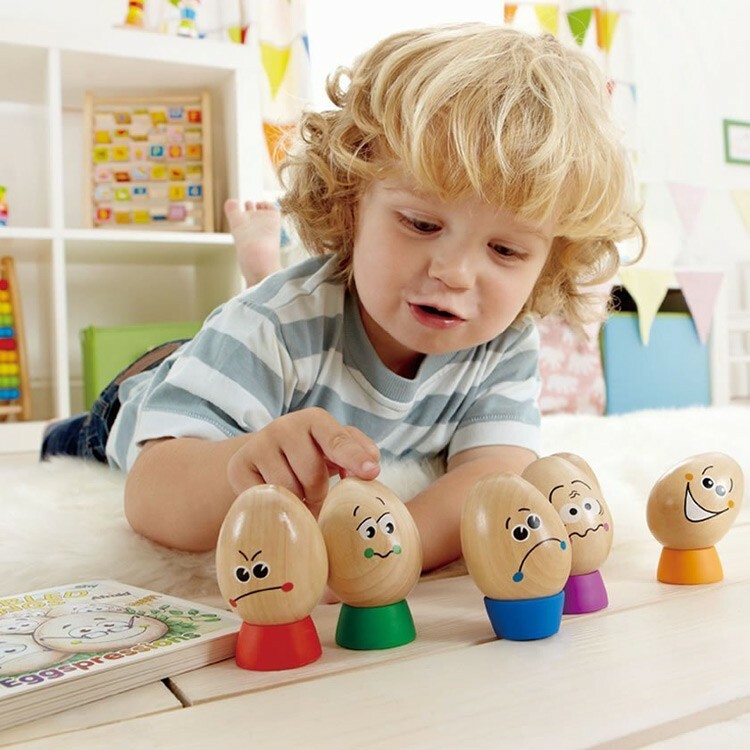 This bestselling HaPe's Eggspressions Learning Emotions Play Set is a storybook and a set of six wooden eggs, each showing one of the most important emotions. 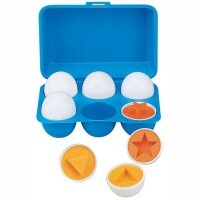 No need to be an egghead to find Eggspressions Learning Emotions Play Set absolutely EGGcellent! HaPe's Eggspressions Learning Emotions Play Set is a storybook and a set of six wooden eggs, each showing one of the most important emotions. 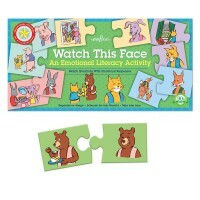 The book helps the children to learn about emotions. 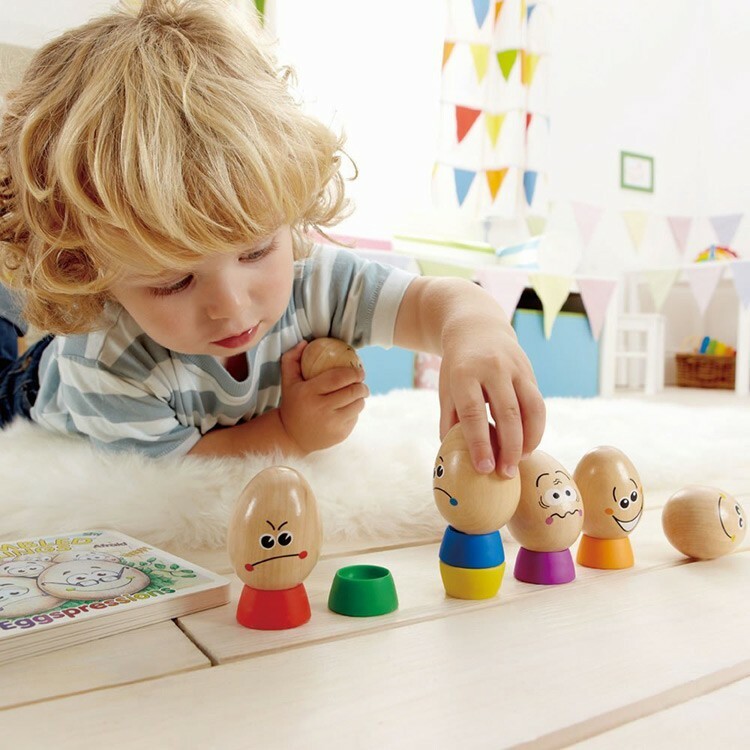 The wooden eggs help your children to learn expressing them! 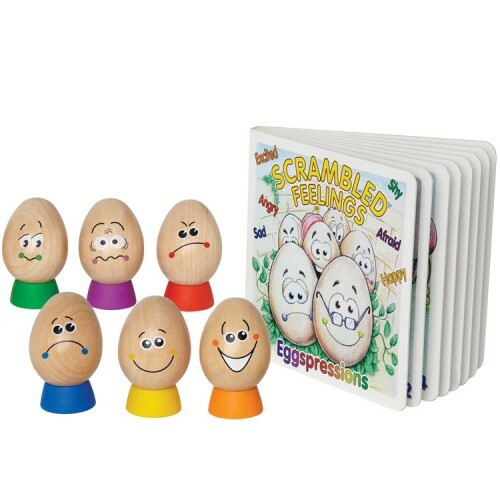 Eggspressions Learning Emotions Play Set from Educational Toys Planet is an excellent tool for every toddler or preschooler: little ones who are just learning to identify their feelings and to convey it with words; to the non-verbal kids; to children with speaking disabilities; to older kids who need further guidance and reassurance about their feelings. 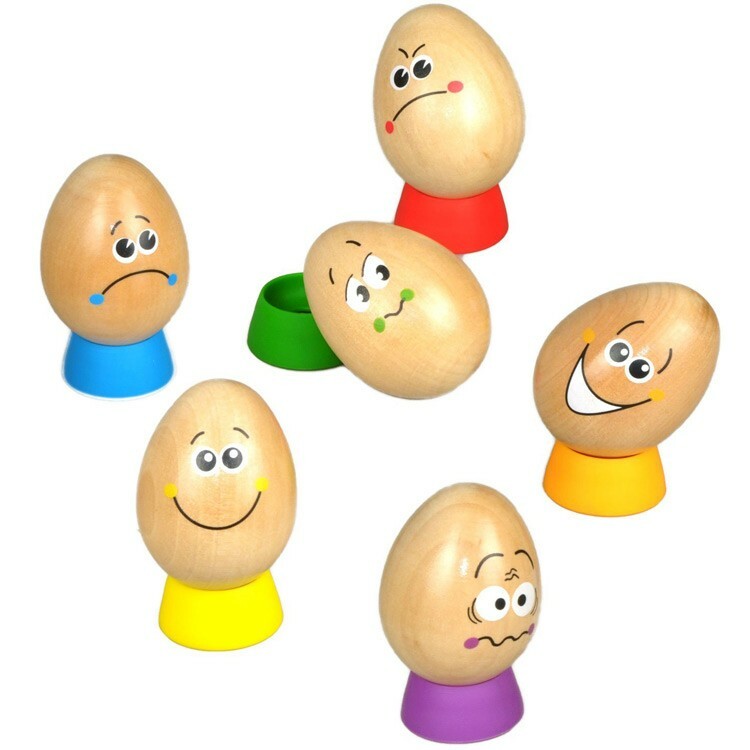 So, create a more peaceful and fun atmosphere in your home by letting your kids communicate their emotions not with screaming, but with these adorable and sturdy eggs! 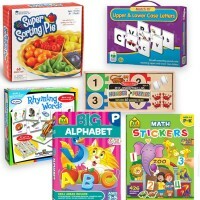 Dimensions of package 12" x 12.2" x 2.6"
Write your own review of Eggspressions Learning Emotions Play Set. Rating: 5 Very cute, loves it but didn't come with sad face? 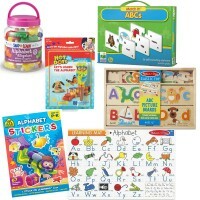 by Nana Didn't come with sad face? 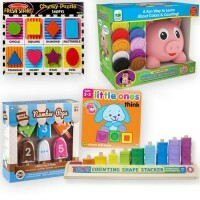 Other than that a fabulous learning toy! 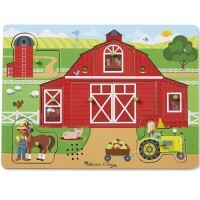 Rating: 5 by Brenna, VA It is so cute! 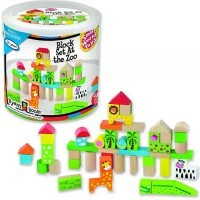 I'm thinking about giving it to my doctor for use with kids who have to tell her what their pain level is. (That's why I bought it) But it's so nice that I'm having a hard time giving it away. I might keep it until Mason (age 2) is a bit older. 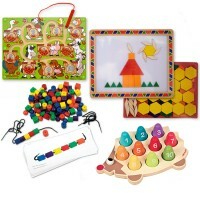 It would be a great gift for him. 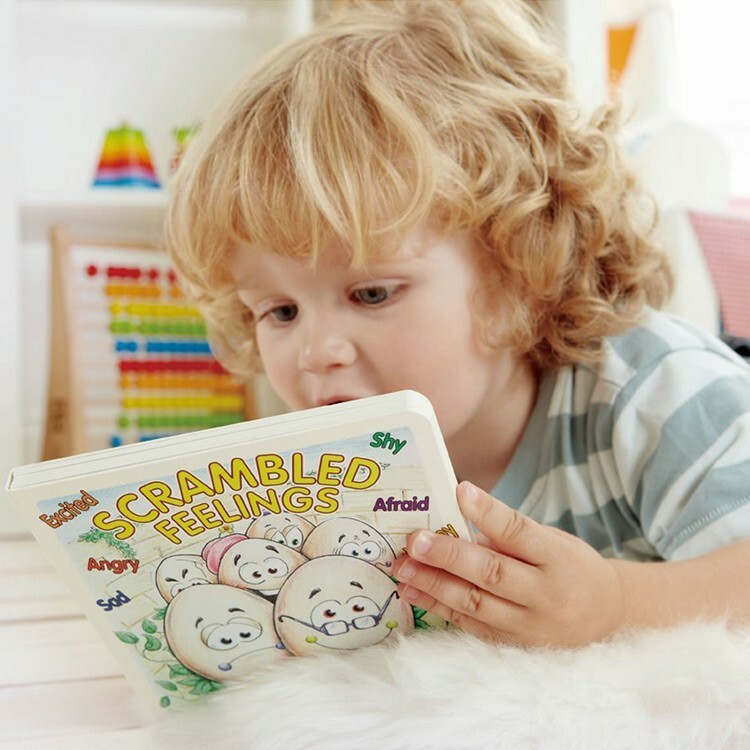 Rating: 5 by Jason, CA It is eggceptional! 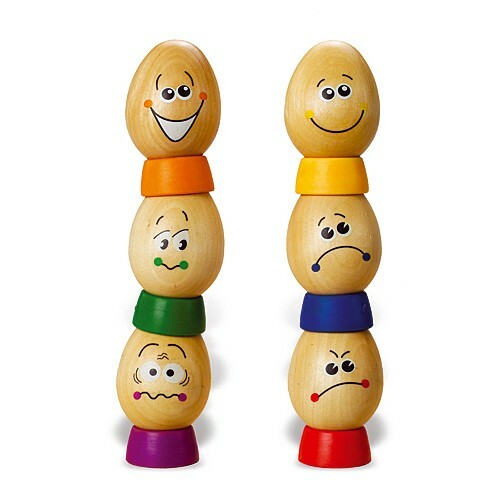 I find it useful in discussing emotions and feelings. 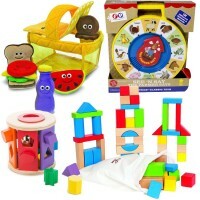 Rating: 5 by Tatyana, NY my son is 18 months old.. he absolutely loves it..